This self hypnosis CD shows how, when you don't live up to your own values, you begin to doubt your beliefs and your right to regain self worth. It enables you to realise that this guilt and fear is an illusion and that our self worth comes from deep within ourselves, not from our actions. Realise how illusions of the world not loving you are shown to be the products of your own attitudinal habits of guilt and fear. The CD changes your attitude to a new positive and rational way of thinking, creating a new positive and happy future, leaving all your past issues in the past. 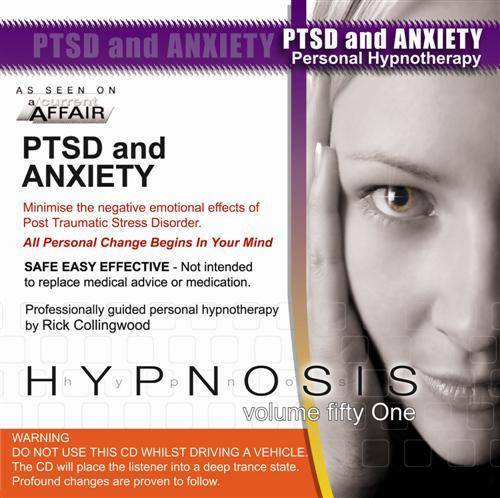 After listening to this powerful self hypnosis CD, you will feel much stronger. Your burden will be gone. than that, but please just know that I am deeply grateful! not, that I should seek professional care from a licensed therapist instead. continue on my journey to be my best self. I've been seeing a psychologist for almost 2 years and her name is MG (name withheld). I asked her about hypnotherapy and she recommended your cd. I like the hypnotic trance where it puts me to sleep. This cd also has helped me also with aspergers syndrome. I am also on a low dose of medication called Lovan. Doing the hypnotherapy and taking the pills have helped as well. It is taking time for the medication to kick in but it is helping. Thanks a lot Rick for the help that you are giving, not only for me but for other people for these kind of sessions and products that you give to help people get better with hypnotherapy. My e-mail address is xxxxxxxxxxx if you need to contact me. Thanks Rick.